Eggnog is a special kind of beverage that comes around just once a year (and it’s very hard to come by here in SA). 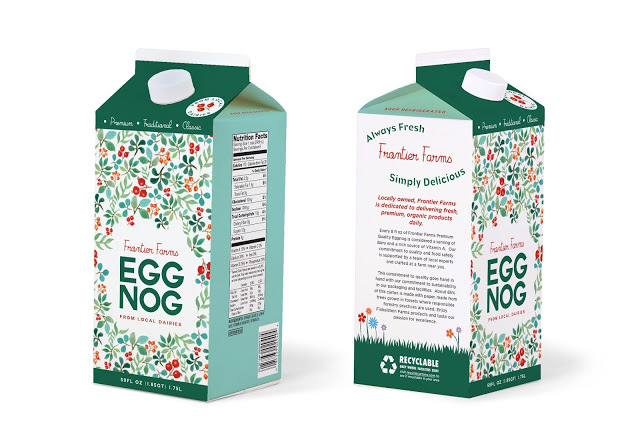 For that reason, we had to share this packaging that in its simplicity manages to bring to life the joy of eggnog, the sweetness of its taste and the special time of year it represents. For more of the designer’s work, check out Marta Sobczak’s site here. This entry was posted in Design, Illustration and tagged Eggnog, Finkelstein Farms, Packaging on September 29, 2014 by stellenboschacademy. Epleslang is a Norwegian apple juice, handpicked from private gardens and locally produced in Oslo. With a big concern for social entrepreneurship, Epleslang employs people with disabilities to help produce their juice and even to package their products. The design, by Dinamo, allows anyone to wrap the bottle with the packaging and affix it with a sticker – very simple and very clever. The inside of this packaging then tells the story of Epleslang and what they stand for. Great design, with great thinking for a great cause. This gets a 10/10. To see more of Dinamo’s work, check out their website. This entry was posted in Design and tagged Design, Epleslang, Packaging, Social Entrepreneurship on September 26, 2014 by stellenboschacademy. Classic print campaign here by JANDL for the Bratislava Zoo. Super fun concept with great art direction. Who wouldn’t want a bunch of happy animals making you smile? This entry was posted in Art Direction and tagged Art Direction, Bratislava Zoo, JANDL on September 24, 2014 by stellenboschacademy. Edgeboard is a new cutting board with a specially designed lip on the one side that makes it easier to move what you’ve cut into another bowl or container. When designing the logotype for this brand, Maud, an Australian design company, wanted to create something that brings to life the board itself. After much thought they came up with a logo that only works when it is wrapped around a corner – perfectly encapsulating the product itself. We love simple, elegant thinking like this. To see more of Maud’s design work – have a look at their website here. 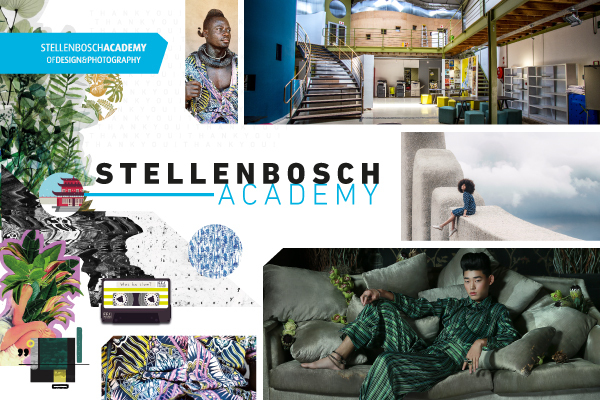 This entry was posted in Design and tagged Corporate Identity, Design, Edgeboard, logo on September 22, 2014 by stellenboschacademy. Yanrong is an illustrator and designer who can currently be found in Singapore, but studied in Melbourne. We loved this work she did – taking seafood illustrations and reimagining them almost like traditional Japanese irezumi or tattoos. We can’t wait to see what other amazing images she conjures up! This entry was posted in Illustration and tagged Illustration, tattoo, yanrong on September 19, 2014 by stellenboschacademy. A huge ‘well done’ to all our Loerie finalists this year! We’ll be holding thumbs! So proud! This entry was posted in Academy Work and tagged Academy Work, Loerie Finalists on September 18, 2014 by stellenboschacademy. Christopher Craig, hailing from Akron, Ohio, is an incredibly talented (and very patient) calligrapher and an absolute master at hand done typography. We’ve included some of his more expressive pieces here, but we encourage you to spend more time looking at his incredible work over here at his website. This entry was posted in Design and tagged Christopher Craig, Hand work, Typography on September 17, 2014 by stellenboschacademy.